Can you blame anyone for not wanting to race in this? 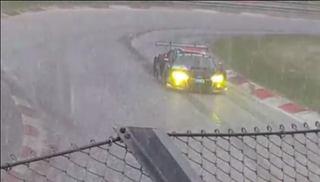 Via our man at the ‘Ring, Robb Holland, comes this video shot by Berthold Reuter that reveals just how bad the hail was at today’s 24-hour endurance race. The Nürburgring, she is a cruel mistress.